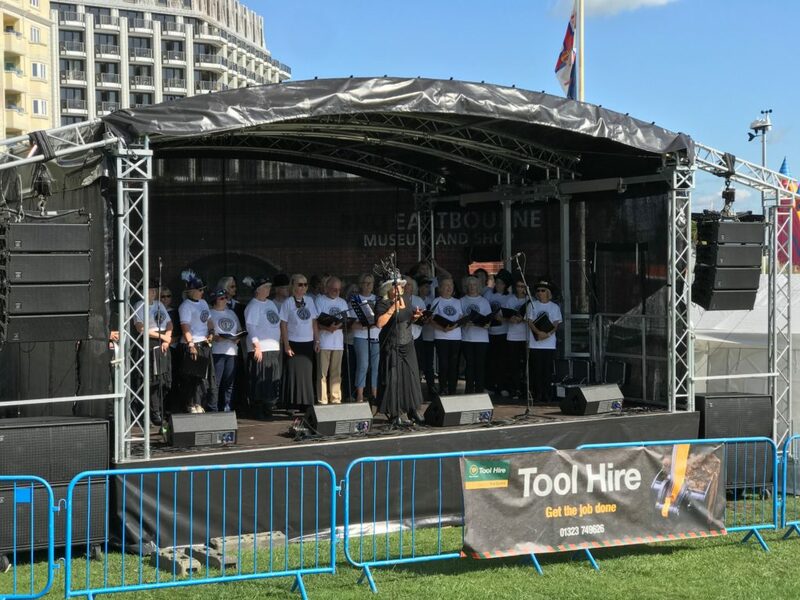 Accord AV has a number of solutions to your outdoor staging needs, whether this be a budget solution for a community event or a wow factor concert or festival we can satisfy your requirements. 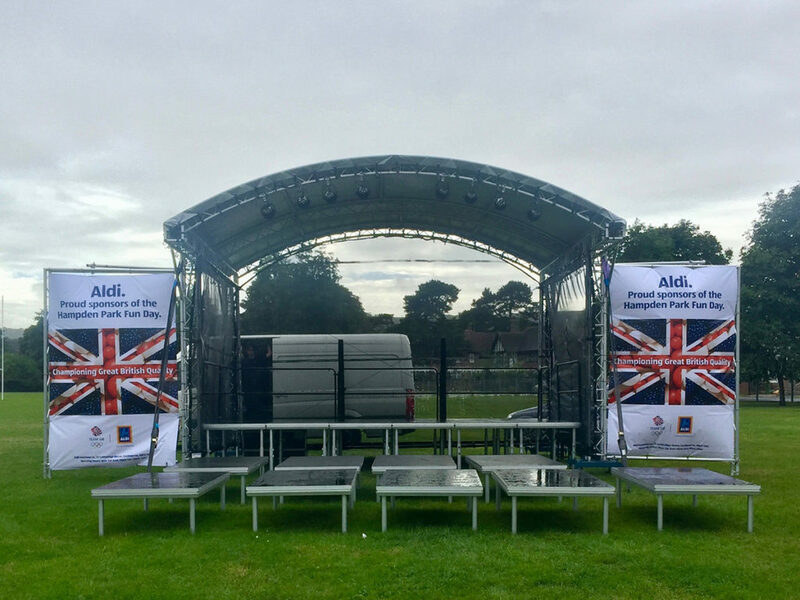 Accord AV have recently invested in a exciting new stage option with the introduction of the Stage Mobil LR stage. 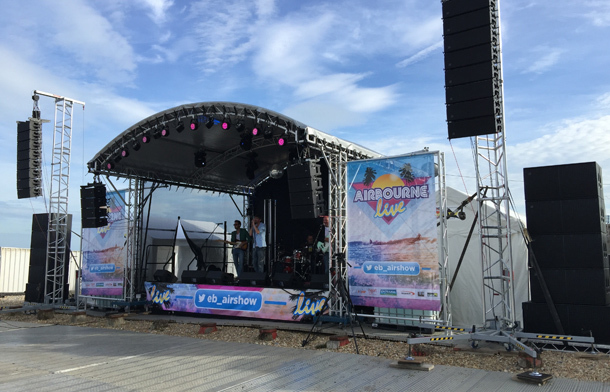 A mobil stage solution with fast deployment times whilst retaining the classic ARC roof concert stage look. 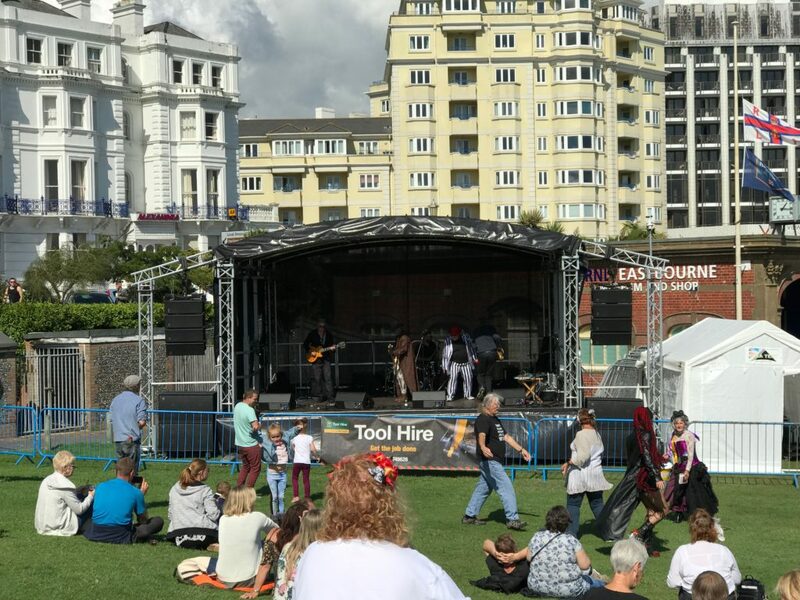 We carry a large selection of lite deck and stage deck with safety rails and stairs, which can all be height changeable to be built on any surface from a beach to a playing field. All stages are certified to the highest standards of safety so piece of mind is guaranteed. 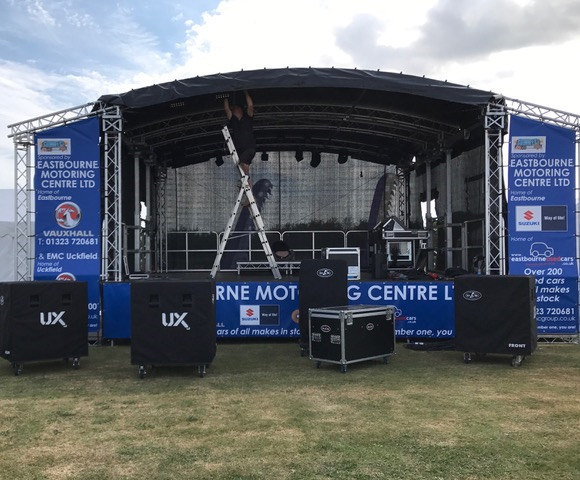 The German-built LR Mobile Stage is set up by a single technician provided by Accord AV,there is no need for extra help. 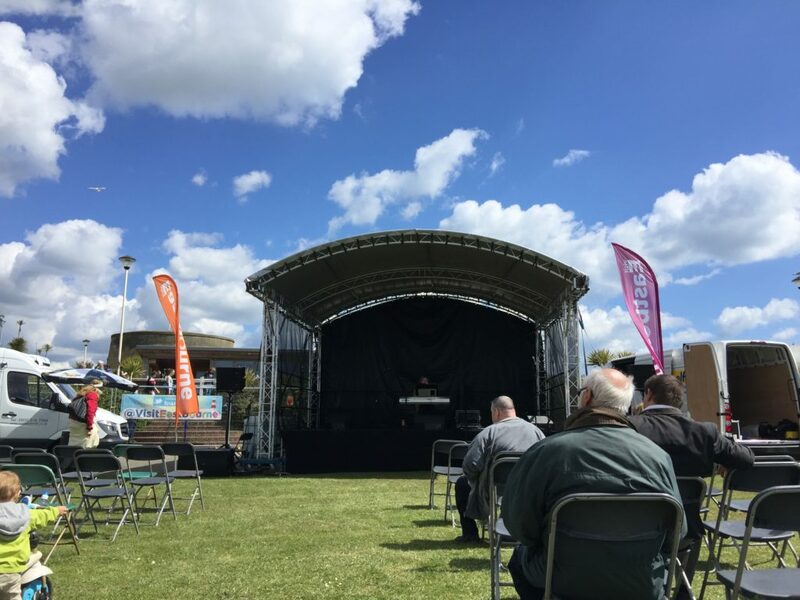 If you need lighting and audio visual equipment , you are welcome to contact our experienced booking staff who will help with the planning side of your event. 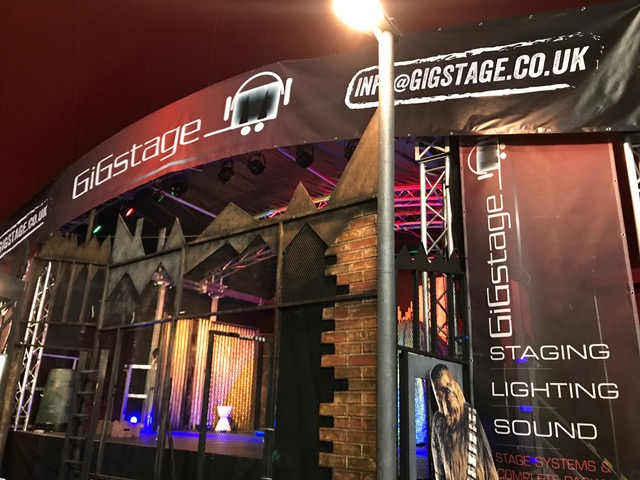 We offer a full collection of high end pro audio from D.A.S Audio and LED lighting systems from Chauvet, Martin Professional & Lanta for all weather solutions. Accord Audio Visual, keeping everything in house making sure the right people are on hand to deal with all your requirements. 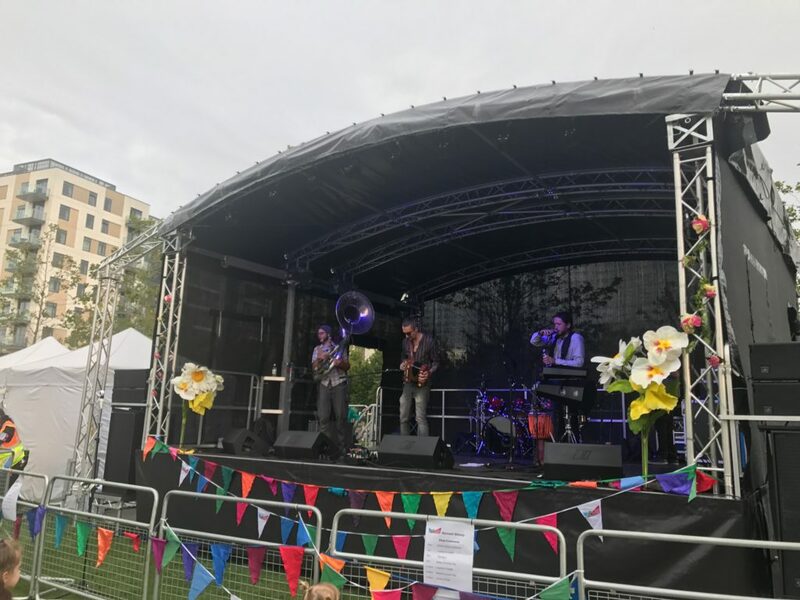 When you rent a stage from Accord AV GigStage, it is delivered, assembled, dismantled and returned by trained personnel who are fully insured all stages come fully certified for use along with full public liability insurance. 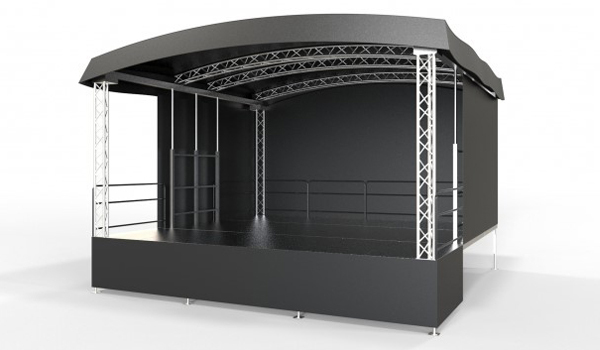 Our Mobile Stage LR can be extended with custom branding covering the arc roof, side wings and front stage valance. 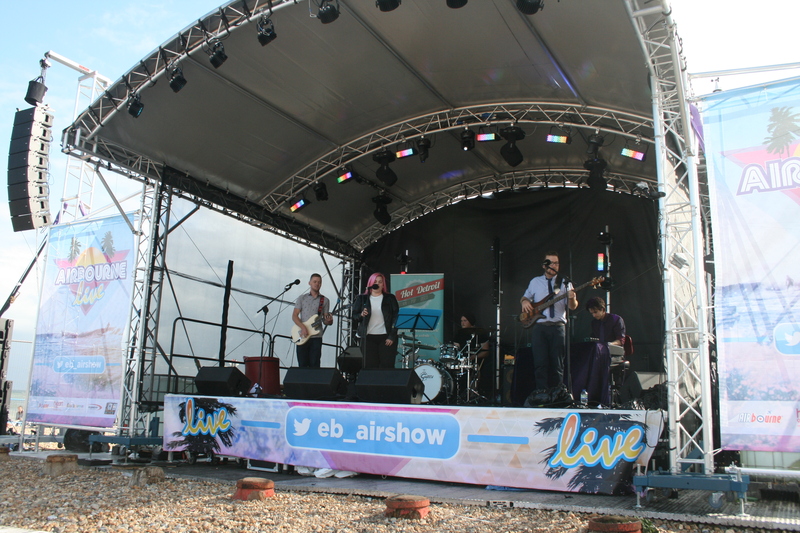 We are also able to brand the rear wall and front stage valance, prices available on request. 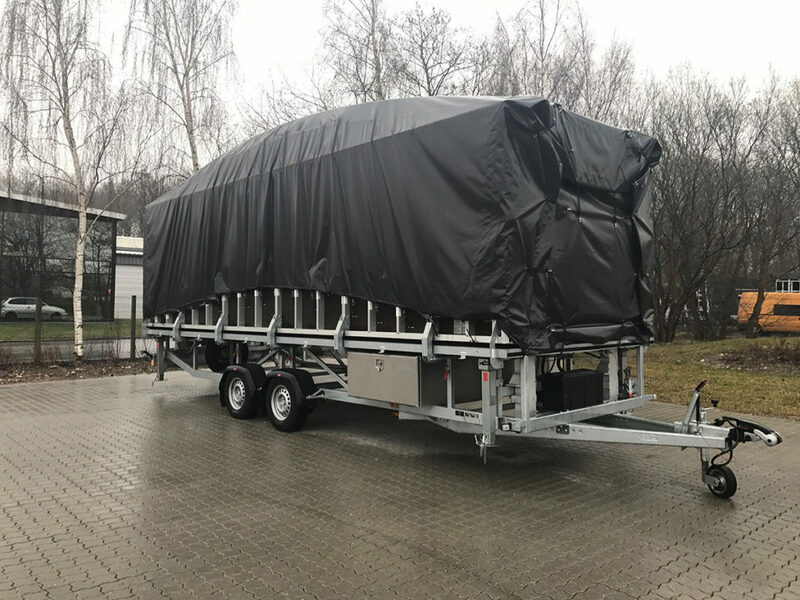 Accord AV offer for restricted access sites where a mobile solution is not possible the Stylish Milos MR1 Stage System. 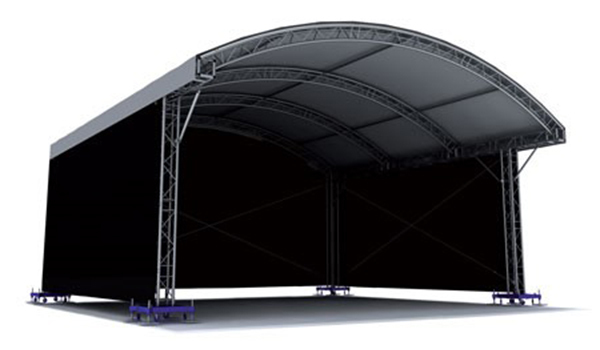 The MR1 roof system is also extremely tolerant to mother nature and offers a class leading Beaufort 8 wind resistance when used with mesh sides. 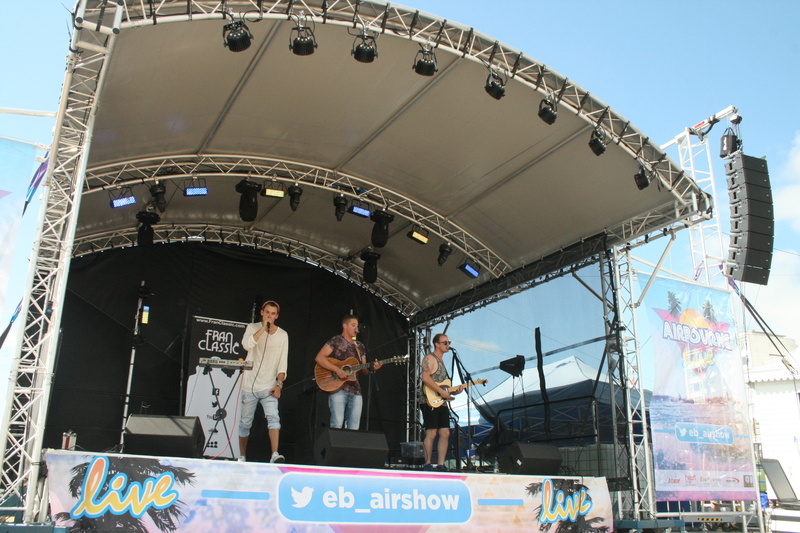 Branding is key this is a great way of sponsoring your event and help pay back the investment we can offer branding plans for wings either side of the stage plus front valance or even a complete rear wall. Accord AV offer a complete array of class leading sound and lighting equipment from small to large concert systems featuring the latest line array technology from D.A.S Audio and visual impact from a range of dazzling Chauvet lighting LED projectors. 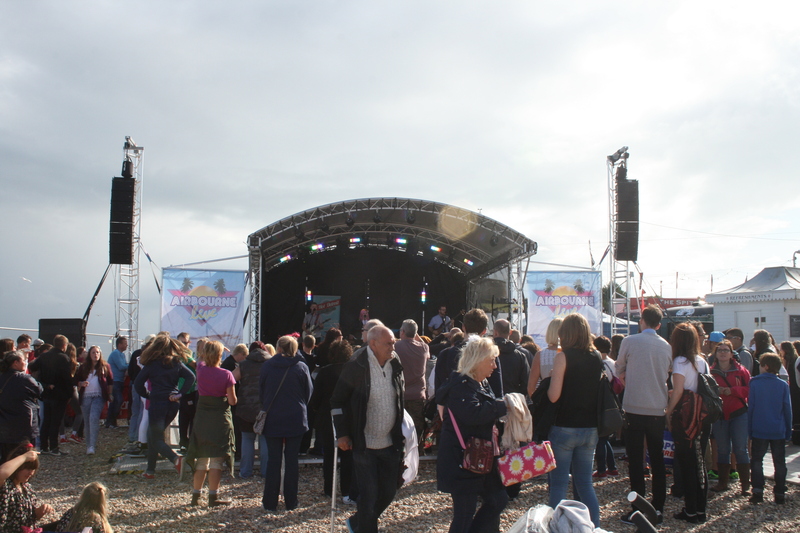 With our range of lite deck and stage deck we can hire you a bespoke sized stage, as well as a standard rectangular stage to fit your chosen venue, whether it be only a few pieces of stagedeck for a small band or drum riser to a catwalk or large stage area. Supplied with all these stages are disabled ramps, steps and handrails for access needs and health and safety requirements. 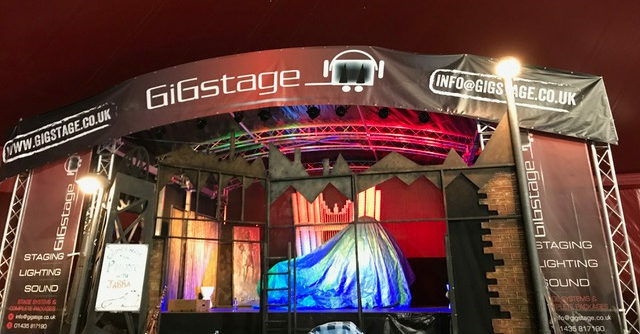 Coupled with our long standing knowledge of building set and props for the theatre industry we can call upon our creative staff to design in conjunction with your ideas any bespoke set or dressing effects for your venue, with CAD images available on request. 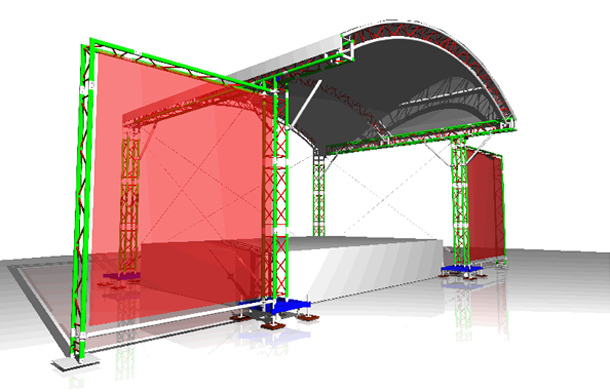 We can also offer a truss ground support system, this is a great way of creating a presence of your stage, as well as adding rigging points to venues that don’t have any in house. 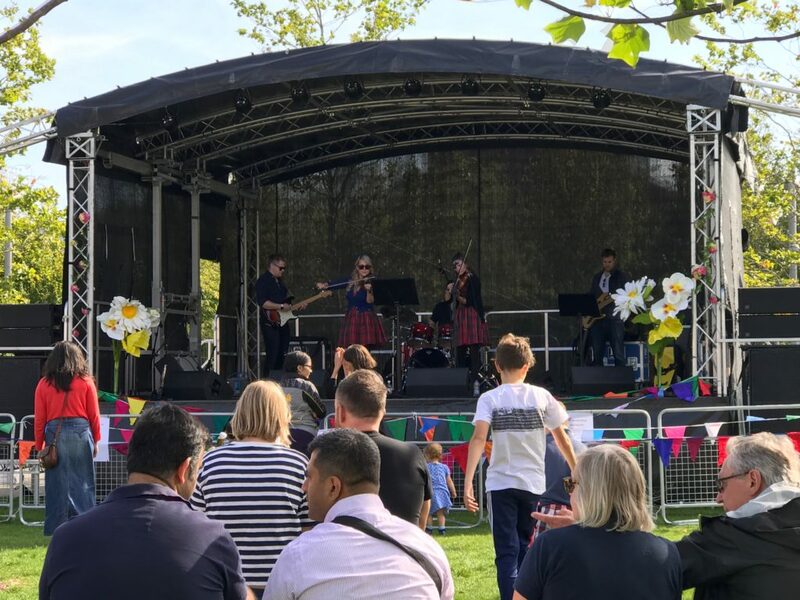 Please don’t hesitate in contacting us on 01435 812100 for a free quote or just friendly and impartial advice on how we can create the perfect solution for your individual event. Please note all prices include delivery 50 mile RTB mileage with ground anchors only. IBC water ballast requires 2nd vehicle or 7.5T truck Ppm charges apply these can be available on a separate quotation.